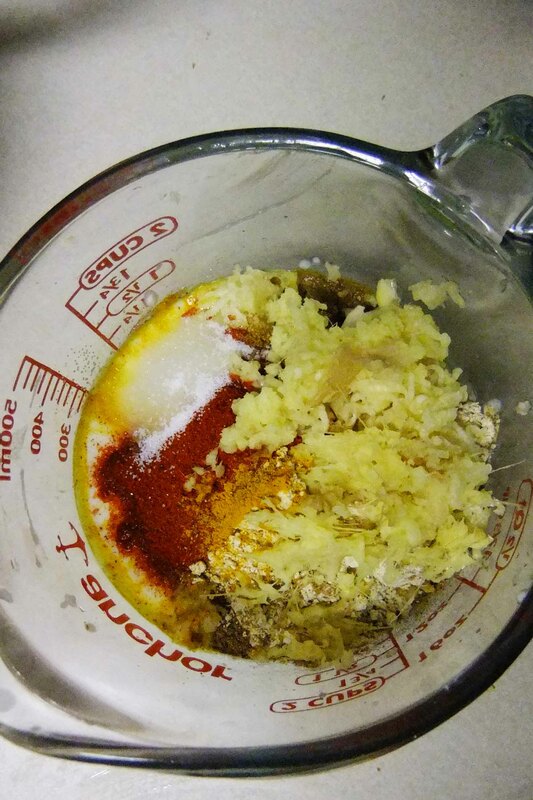 Take a bowl and in it, mix all the ingredients for the marination into a thick and homogenous mixture. 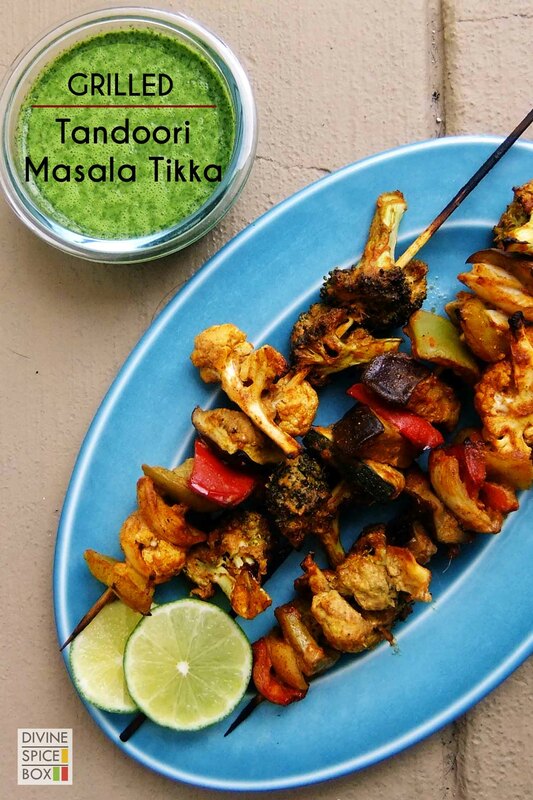 You may feel that this marination is too thick but slowly the salt in the marination will release the water from the vegetables and the marination will become thinner in consistency. Add in all the vegetables and using your hands, gently toss them in the marination. Take a zip lock bag and in it add this mixture. 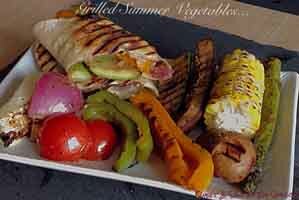 Using your hands, toss the bag around so that all the vegetables are well coated with marination. Refrigerate the zip lock bag for atleast 2 hours to a maximum of 24 hours. 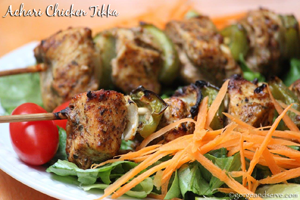 When you are ready to grill the tikkas, pre-heat the oven at 425 F.
Place these skewers on a metal rack in the oven and place a tray on the bottom rack to collect the extra marination drip. 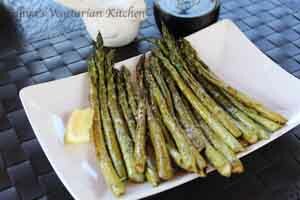 Grill these for about 20-25 minutes or till the vegetables start to get a char on them. Serve hot with lemon juice and chaat masala on top and a side of mint coriander chutney. Greek Yogurt – For diabetics, Greek yogurt is an exceptional meal and snack option due to the low carbohydrate and high protein content. Yogurt supplies an excellent source of calcium as well as protein. 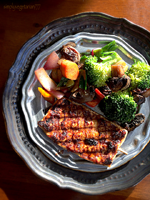 One serving can supply between 8 and 25 percent of your daily calcium intake, depending on the brand and serving size. You need around 60 g of protein per day, so a serving of 2 percent plain Greek yogurt, with 17 g, supplies nearly 33 percent of your daily intake. Tagged appetizer, Diabetes friendly, indian, Snack, Summer, Winter. 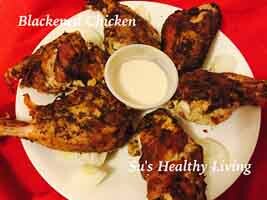 Yummy recipe & super option for vegetarians. 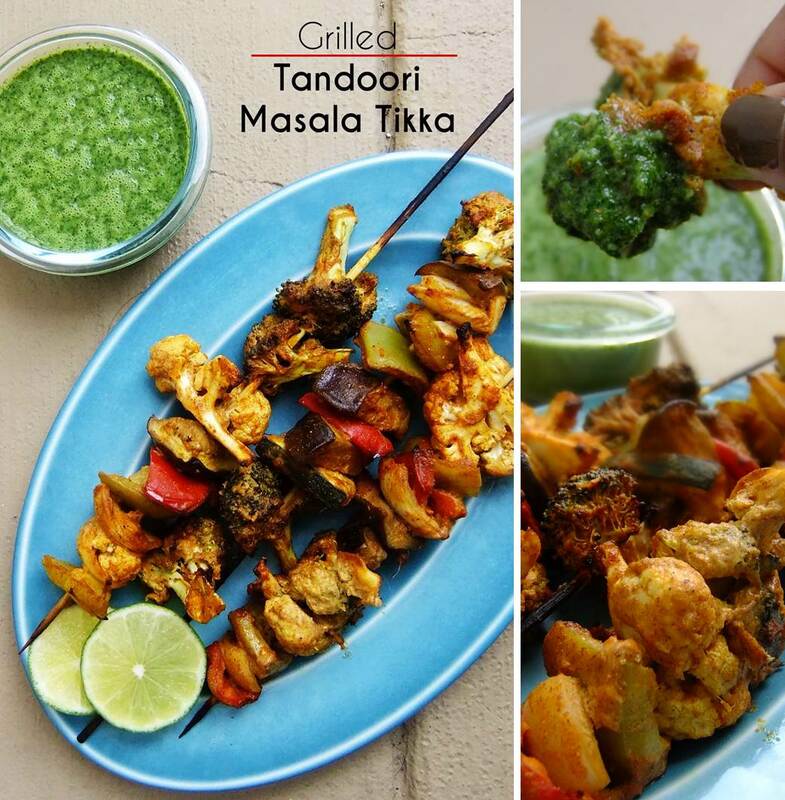 A healthy and beautifully presented tandoori treat!! I am greedy when it comes to vegetables! I could have that entire platter ! Thanks for sharing! !